So it's been just over a fortnight since we returned back to Durham. There feels a lot to catch up on but, and it feels strange saying this, there just has been so little time to sit down and capture what's been happening between all the catching up with friends, neighbours, work colleagues, all the admin /paperwork stuff and dentist, doctors, hospital check-ups etc. I'll keep this post mainly as part of our diary but we feel moved to also share soon some insights about being back in Durham, particularly as this year it feels very different to last year's return. So many people keep asking us 'does it feel like you've just woken up from a dream?' but the answer is definitely no. Yes the surroundings are the same and yes this year it's particularly strange as we are living back in our old flat and Homer's not around but the adventures this year have changed us so much as people that it's almost like we are seeing everything again for the first time and getting to really appreciate the lives we left behind. After our late night return in our hire car we did take things much easier the following day as we unpacked and settled back into our flat. Strangely we have moved into our spare room. It's smaller than the main bedroom but after living in a motorhome for two years, the smaller room feels more cosy. 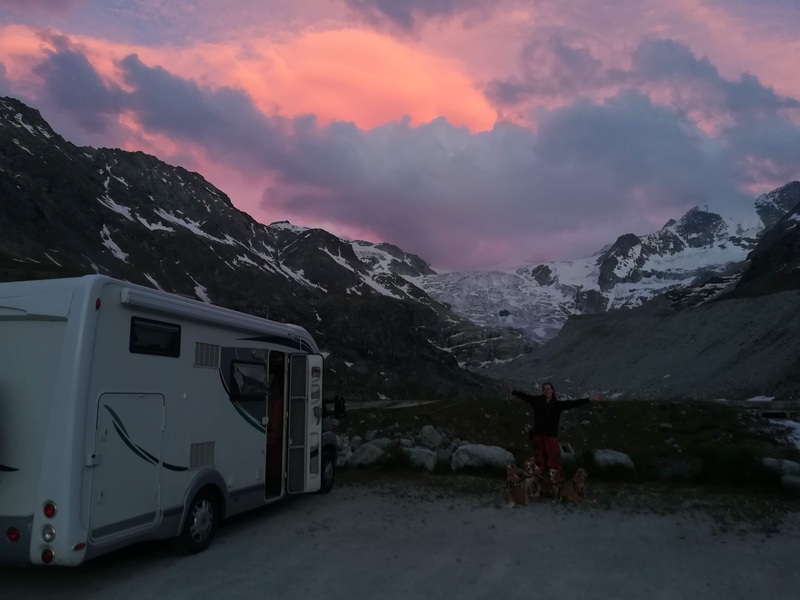 Our flat has swallowed up the small number of possessions we have from our motorhome life, leaving us wondering what was filling all the other drawers, cupboards and wardrobes before? We took the opportunity to run a nostalgic loop around Durham as we dropped off the hire car on the other side of Durham and also dropped in on our friends Barry and Yulia, who gave us a warm welcome. On the evening, we got to catch up properly with Barry and Yulia as they popped over to our flat for cups of tea and hugs! It felt really good to be back and just so natural. On Sunday, we'd organised a 'homecoming/leaving' get together in our flat. As we left so quickly in 2014 after Dan was cleared for travel we never got round to a hosting a leaving party. So now we were returning and had the flat for a final few weeks before the sale goes through, we wanted to host one final party for our friends. We invited people to come round anytime in the afternoon and felt exciting in the morning to see our friends again as we stood in the kitchen preparing some healthy snacks and doing some vegan cake baking. It was so so touching that so many people were able to drop by and several people even stayed for sushi-making! We'd first been invited to make sushi during our stay on the organic farm over summer and had since tried it ourselves with friends in Spain, but it was great to sit around the table with our old friends, each getting a go at making a sushi roll. We asked our friends who wanted to try to bring an ingredient with them - harissa and a mushroom paste went down well and mashed avocado is just yummy; fresh chillies were a bit 'interesting' though! Barry suggested we try a sushi Russian roulette game with the wasabi. Putting one big dollop of it in the roll, disguising it with mashed avocado and then cutting up the roll, so we didn't know where the wasabi was! Ironically, the wasabi lump had been cut in two and it was Barry and Dan that ended up with it! :-) We also tried a sweet sushi roll, filling it with grapes, dates, coconut etc but not sure it worked so well with the seaweed nori exterior! It was really lovely to see everyone and also to catch up with so many people at the same time and so soon after returning. After everyone had left and we'd cleared up, we took a stroll round Durham as the light was fading and reflected on how touched we were and just how nice it felt to have returned to Durham. It had been a great day. After such a fantastic weekend to welcome us back to Durham, it was a little hard on Monday morning to get up and start dealing with all the admin and paperwork that needed our attention. This was the week for sorting out our admin responsibilities and also time for check-ups at the doctors, hospital, dentists etc. So far all is good which is reassuring. But in the evenings we got to rest, play and see our friends, having the opportunity to catch up with them properly and also see their new houses, see new extensions or garden improvements, meet new pets etc. We'll write about this in more detail as well and reflect on the experience, benefits etc but on Wednesday morning Dan decided to take a train back to Nottingham. It had become clear that whilst we've done a lot of work on our past relationship baggage this year, several issues were starting to surface being triggered by our return. We'd actually joked on the Sunday at the homecoming party that if a couple ever think they have relationship issues which need ironing out, living and travelling together for a prolonged period of time in a 5m x 2m white plastic box, with no spare room, no friends house nearby to run to really forces you to talk and work things out. But now being back in Durham, there seemed to be a unique opportunity for us to have some time and space. Dan had been looking forward to spending some quality time with his family, but with his family having limited space to put us both up and Travelodge rooms not being an option for a long visit, he took the opportunity to go and spend some time with family whilst I had place I felt comfortable and could take some time on my own in the flat. It was a little tricky at times. I continued to deal with the hands-on admin things, dealing with bills, organising repairs to our house, tracking down water leaks, speaking to management agents, resolving issues with tenants as well as meeting people collecting things we're been listing on eBay and freecycle in our attempt at starting to declutter! Whilst Dan did what he could from Nottingham like posting up eBay listings, ordering things online i.e. replacement lawnmower for example(!) and dealing with continued paperwork needed to progress our flat sale. It felt good to get on and sort out our responsibilities and get our affairs in order. We'd left so quickly in 2014, just boxing everything up and when we returned last year it wasn't for very long once we knew we could extend our adventures, so a lot of things needed our attention now. Although we have no fixed long term plan and taking it week-by-week at the moment, we both know we want to have a fresh start, consolidate and physically 'clear-up' our old lives before setting off again this year. In between times, in Nottingham, Dan spent time with his family, staying with his grandparents and spending the evenings and weekend visiting and spending time with his mum, dad, brothers, his niece and nephew. It was also nice he was able to be there for his Granddad's birthday and a family meal together. In between times, in Durham, I enjoyed some time rare time on my own just to think, meditate and write. I got the opportunity to catch up with friends and neighbours as well as go down and take part in the local Park Run and join friends at their local church service. My exercise routine was a little less regular but I took the opportunity to get out for a short run or walk on an evening and ended up bumping into and having some really nice chats with friends, people I'd not seen for a long time and also some people who I'd not met before but once we got talking were interested in hearing about our travels. I was also excited to set up and receive the first of our weekly Riverford's organic vege boxes - very impressed by the freshness and taste of the veggies that came. This past week, has been more check-ups, continued admin, visiting old work colleagues and Dan returning home mid-week. It was good to see each other again and start working through both personal and practical issues in person as opposed to over the phone or email. It had been a strange week being apart after spending the majority of the past 2 years together but both of us were happy that the time apart had been for a reason and been good for us. Since Dan returned we've been working on focusing on keeping to our routines a little better, which had gone a little off track since leaving Spain - not terribly but some areas needed addressing and re-establishing before they had last impacts on our health issues, particularly my ME/CFS.